Buying a new office chair is indeed a major responsibility. You need to base your buying decision on essential factors. Budget and comfort will play a vital role in making the right decision. If you have been browsing the internet or visiting furniture shops, do not buy an office chair yet without reviewing some strategic considerations. The process of buying office furniture is daunting because there is a large number of opinion that you have to put into consideration. Differing opinions and special requests will even make it harder for you to find the style you want. Ergonomics, long-term value and comfort will also give you a hard time choosing. A low-priced vendor might be appealing but there are other factors that you need to include to make sure that you are buying high-quality chair. Purchasing office furniture is an investment, but if you need to buy a new office chair each year because the old chair you bought has fallen apart, then you are not saving money at all. For you to make the right choices focusing on the price should be avoided. Although price is not everything, you might still want to work within your budget. You could blow your money on poor quality furniture if you are not careful. Before you make a trip to the furniture shop, be sure to list down all of the things you need. With all the choices up for grabs, the decision making process can be tough. Start with your budget. Ask yourself how much you are willing to spend on an office chair. You also need to write down the number of chairs you need. Choosing between functionality and aesthetics can also be difficult so you have to weigh the pros and cons as well. 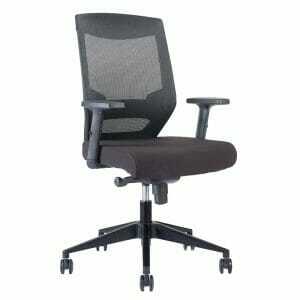 If you have a tight budget, you can also go for office chairs that are capable of providing multiple uses. Your chair is the most used (and abused) office furniture. Employees sit on it all day. You need to provide employees with a comfortable chair for them to become productive all throughout the day. Taking ergonomics into consideration is essential. Be sure that chairs have lumbar backrest support, contoured seats, armrests and adjustable seats. Furniture is worth the investment if it is fully functional and comfortable at the same time. Aside from your ergonomic needs, you will also have to make sure that the chair matches your interior layout. You will also need to ask yourself about the kind of atmosphere you want your office to have. If you want your employees to communicate and collaborate, consider investing in a few chairs and a large table. If you like a more formal environment, you can also add cubicles, making sure that the work spaces are still sufficient. It is always a wise decision if you choose office furniture with multiple functionalities. A balance between the price and functionality will give you value for money. Does the chair allow you to stretch your legs? Can you move freely under your table? Are your chairs comfortable enough even if you sit for hours? You can have your employees test out different types of chairs to find out. There are several factors that will help you determine if the chair feels functional and comfortable. You will end up more frustrated than inspired if your office chair is not aligned with your office needs. Buying an office chair should not be taken lightly because it is a major project. The type of chair you choose can have an impact on your office environment, overall productivity and employee comfort. You can make a good purchase if you buy from trusted office furniture Houston manufacturers. This type of furniture dealer assures you that you get the most value out of your furniture investment.